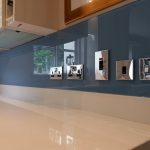 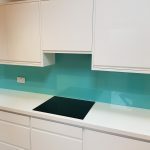 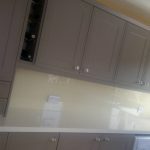 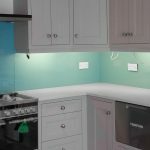 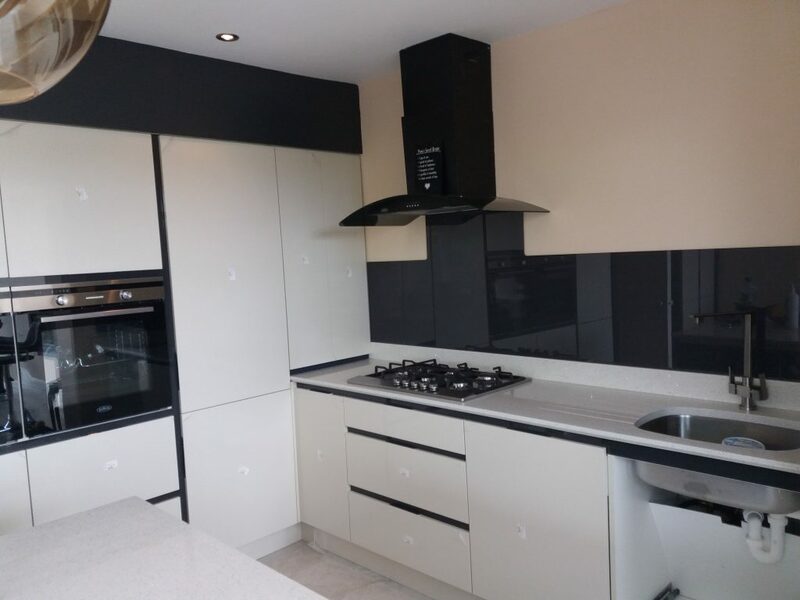 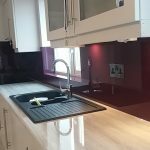 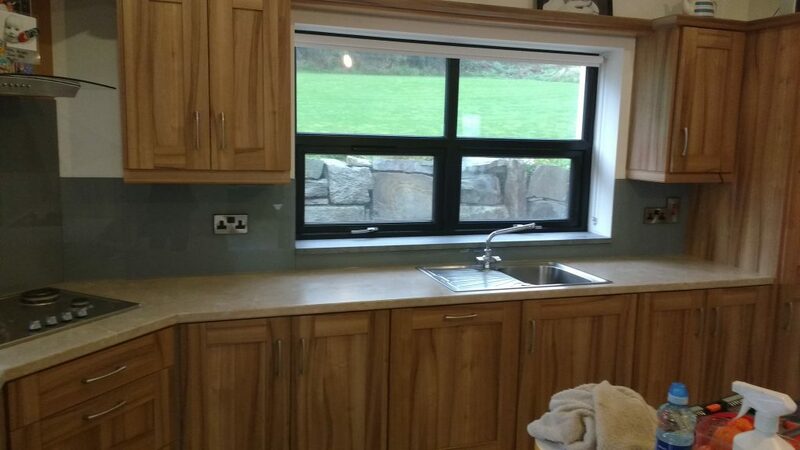 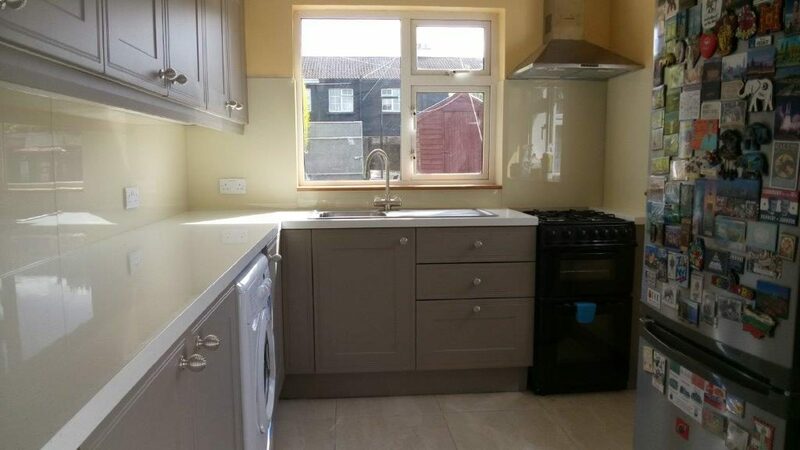 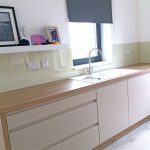 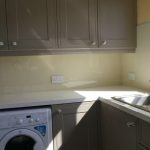 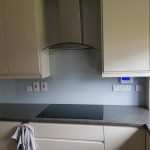 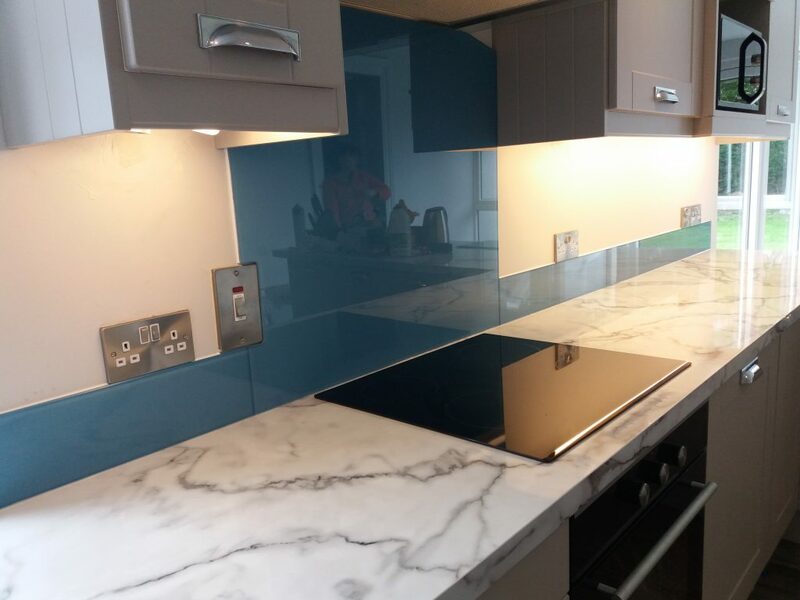 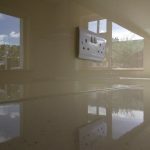 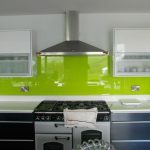 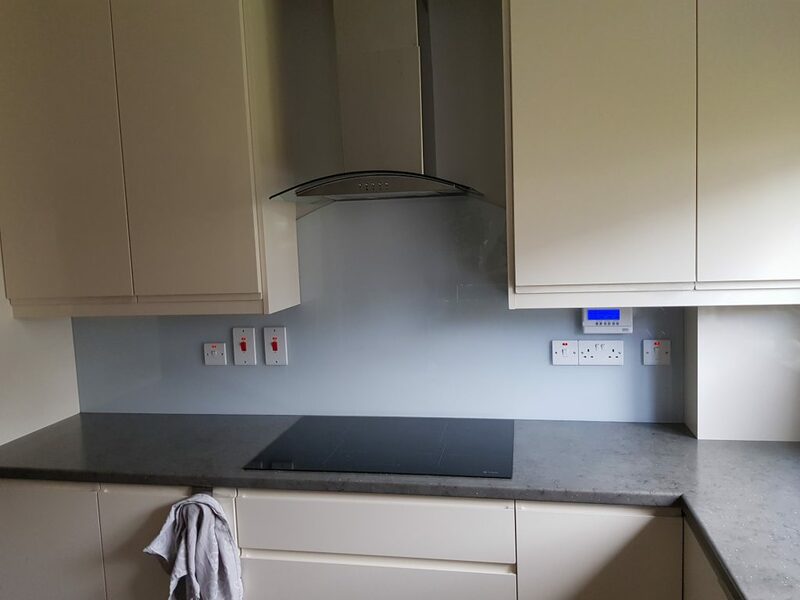 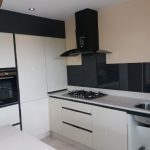 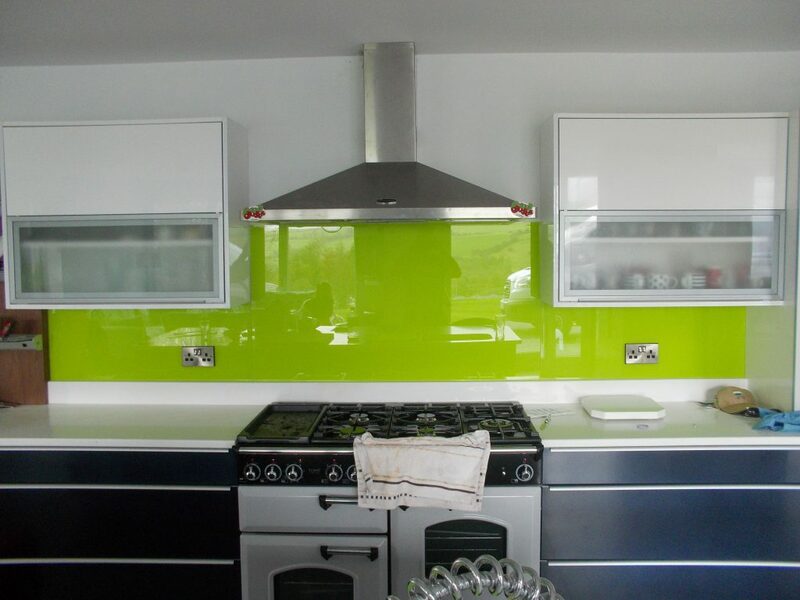 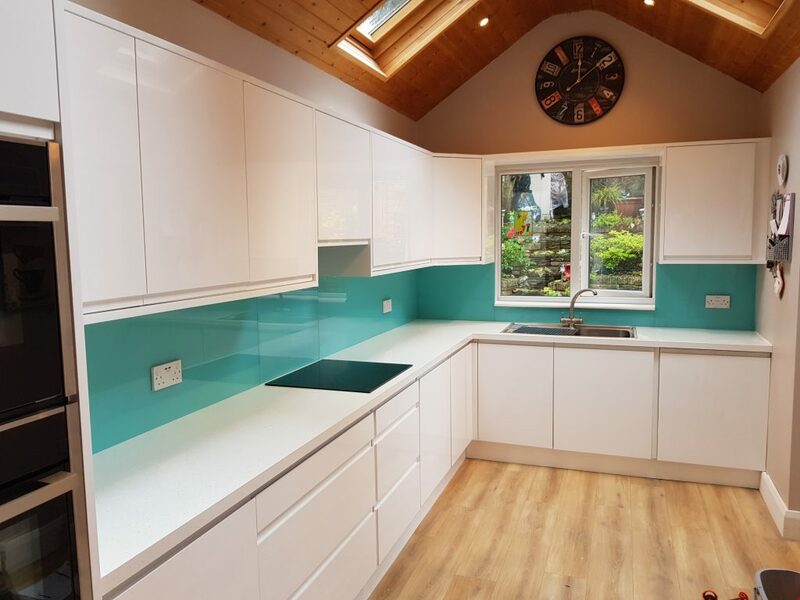 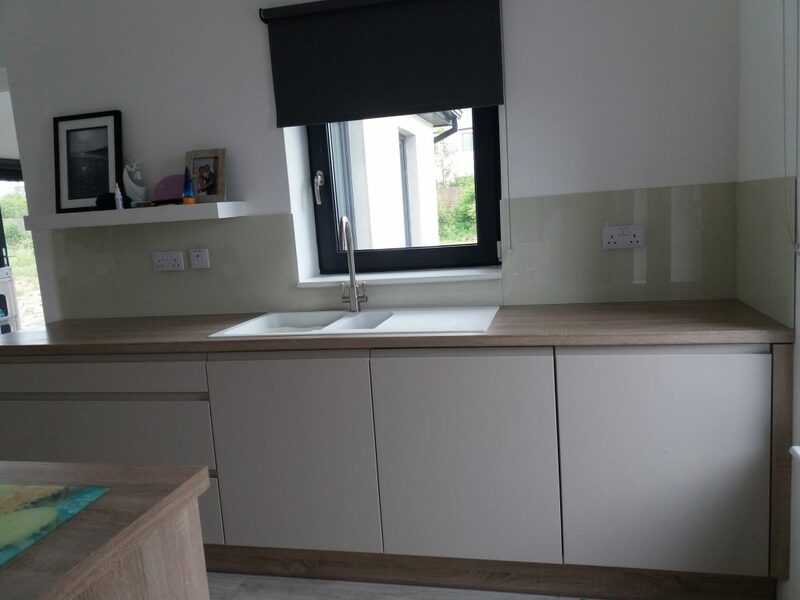 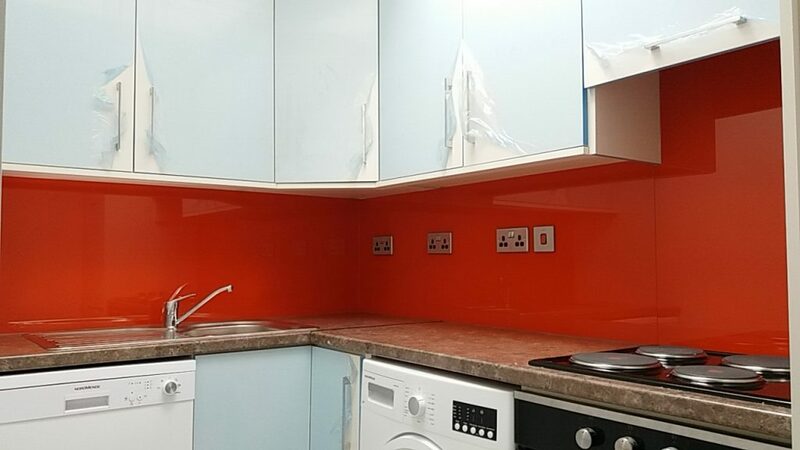 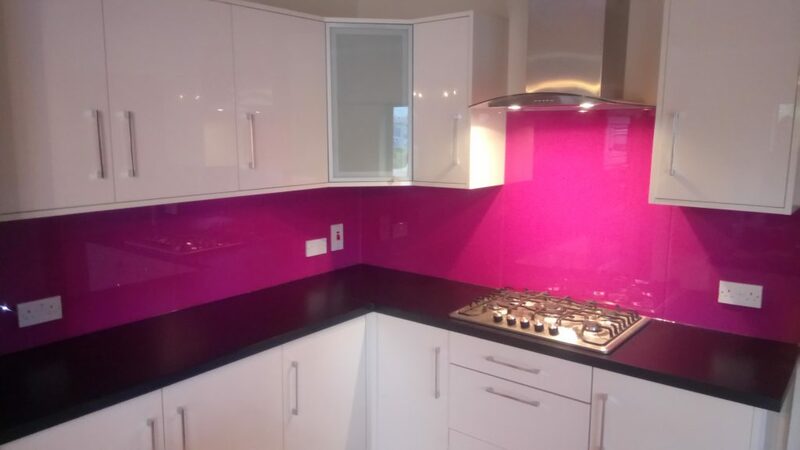 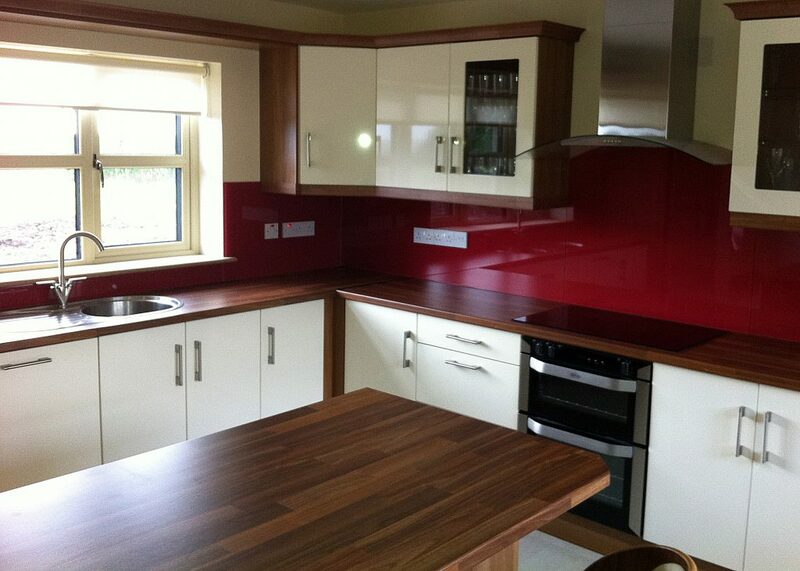 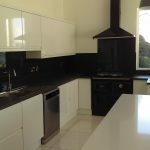 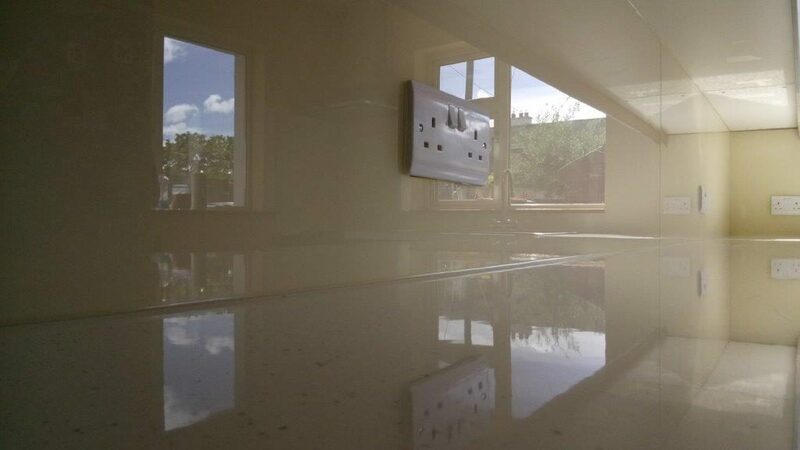 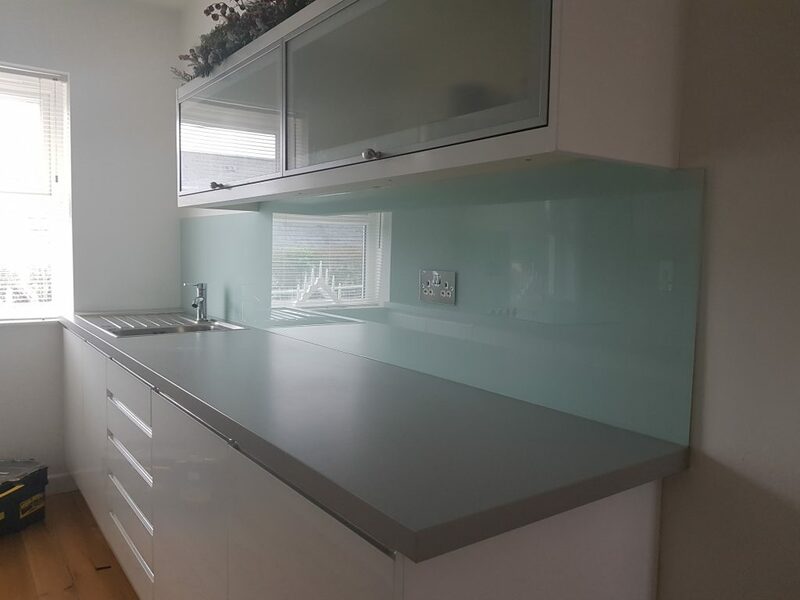 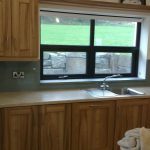 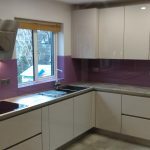 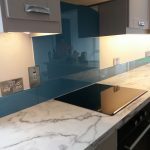 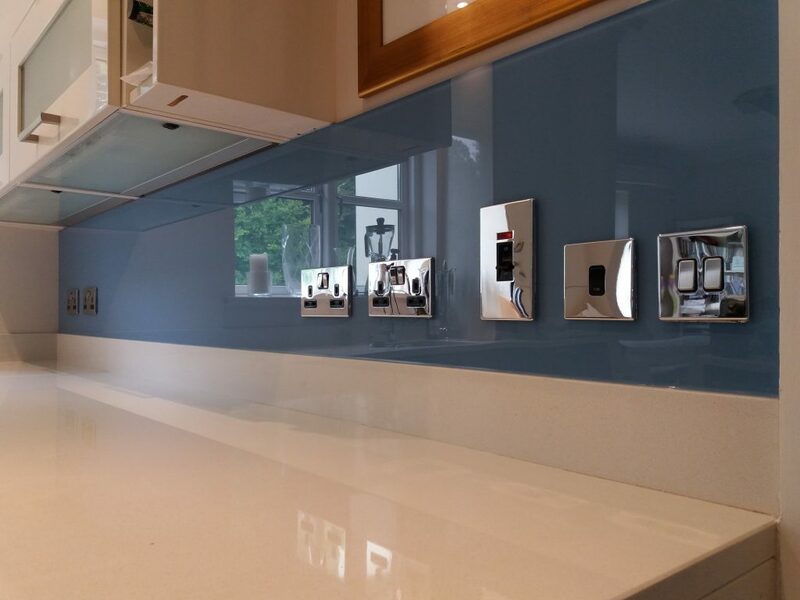 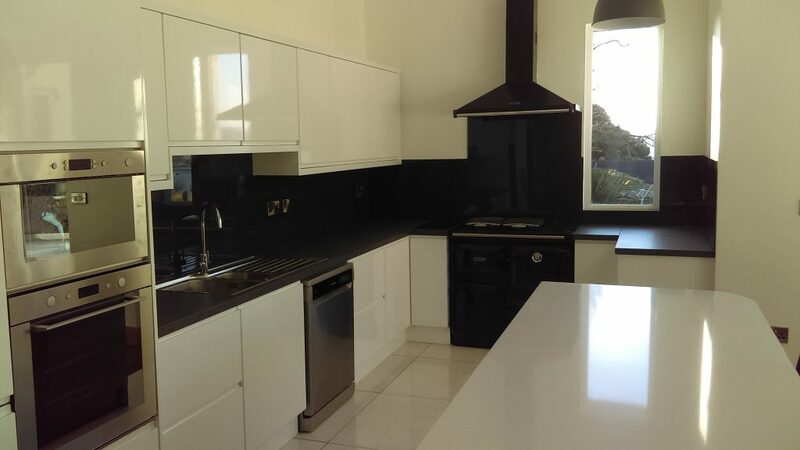 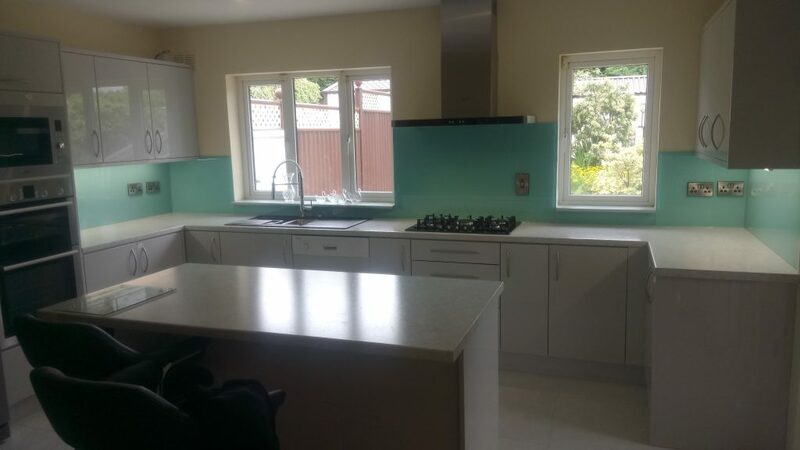 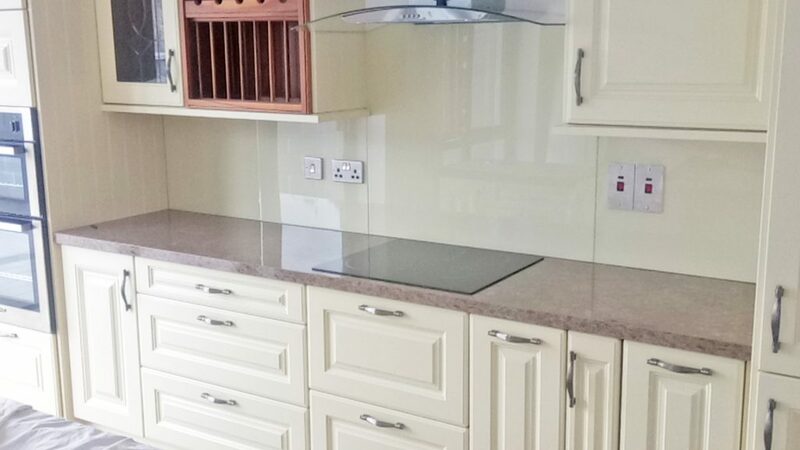 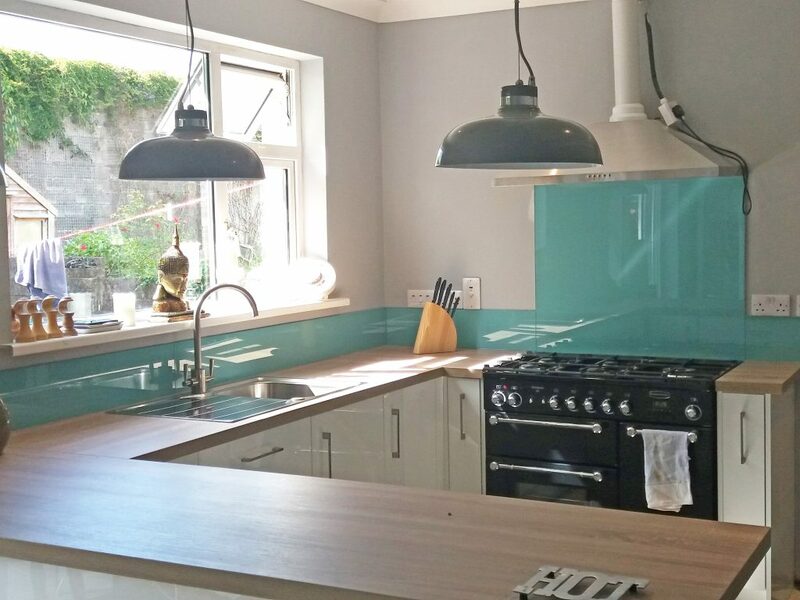 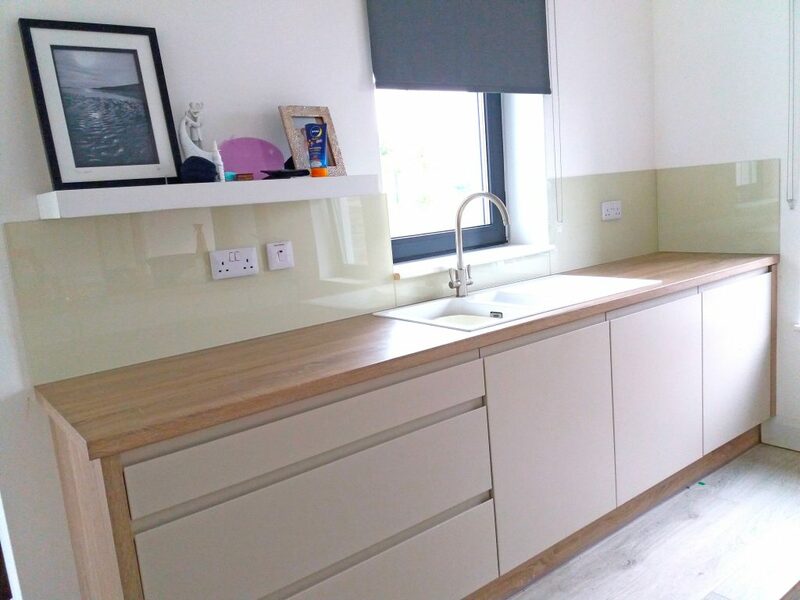 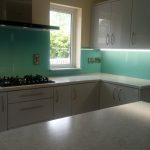 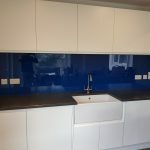 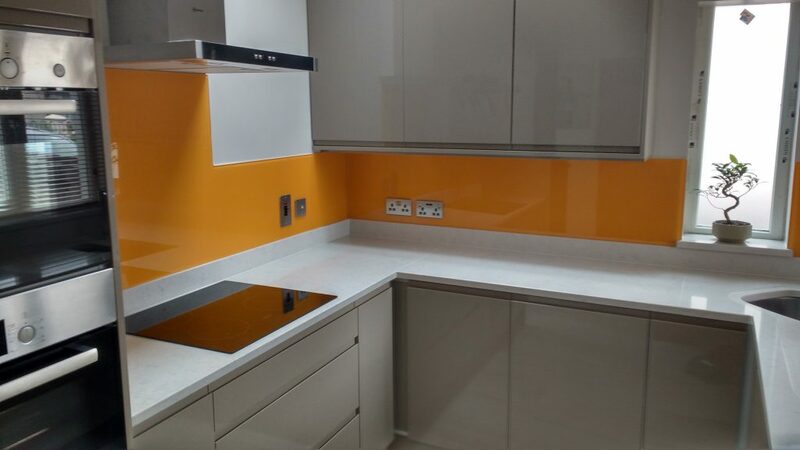 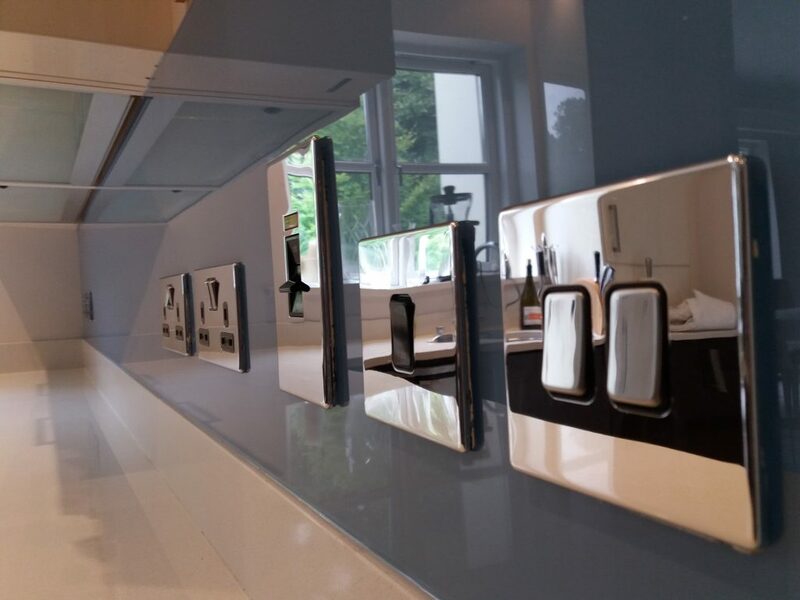 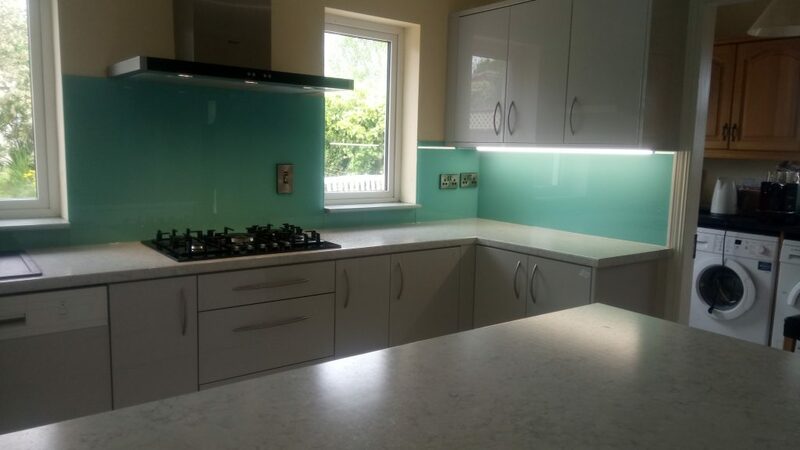 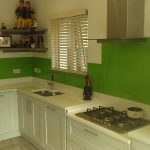 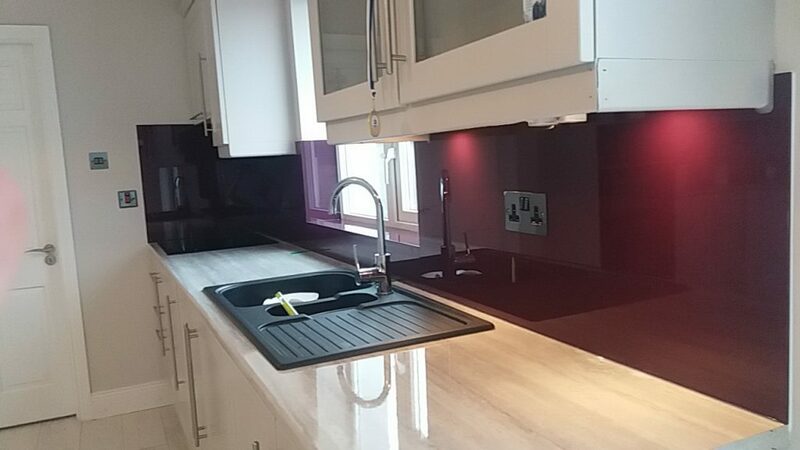 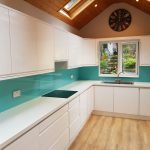 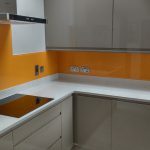 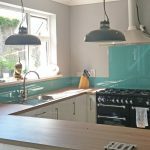 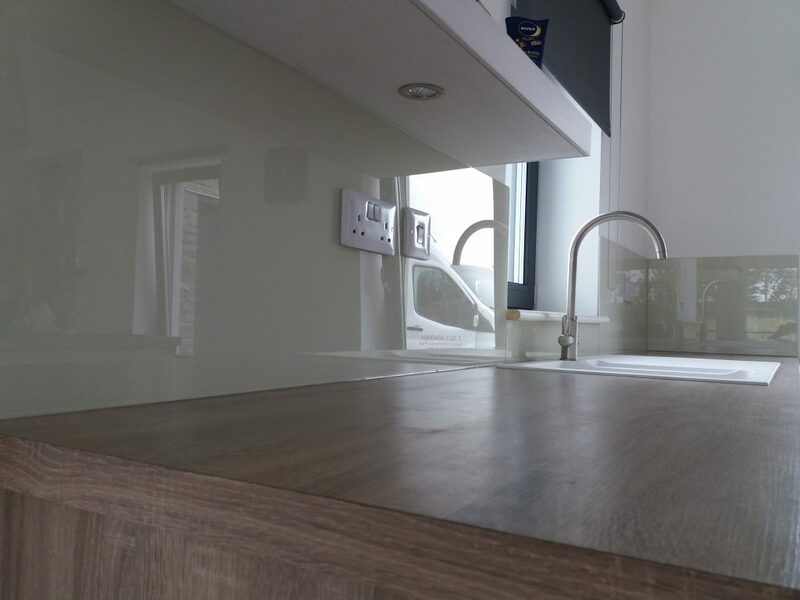 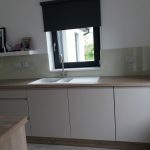 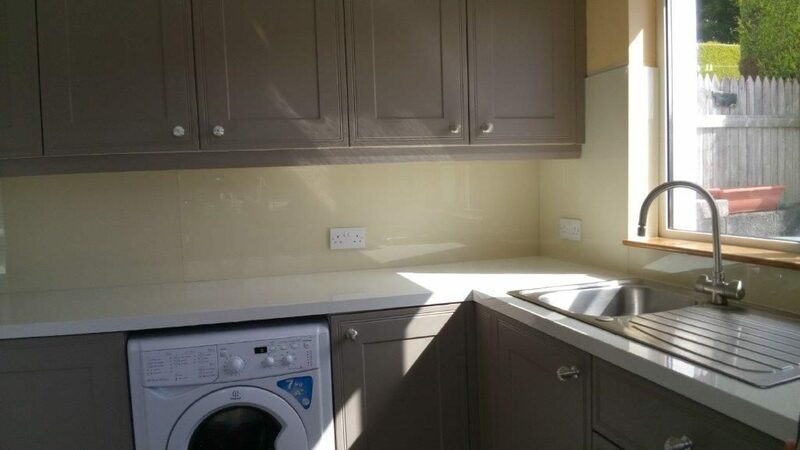 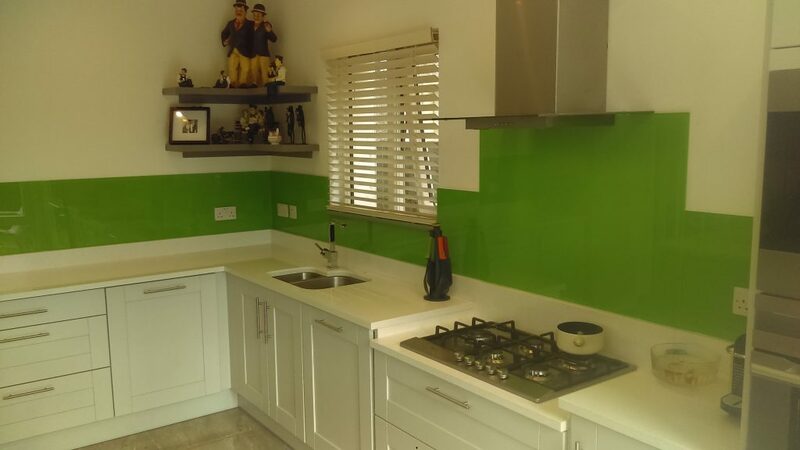 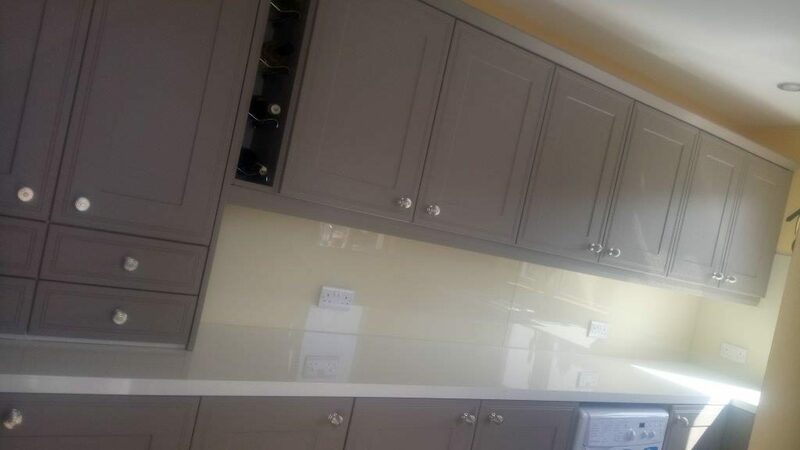 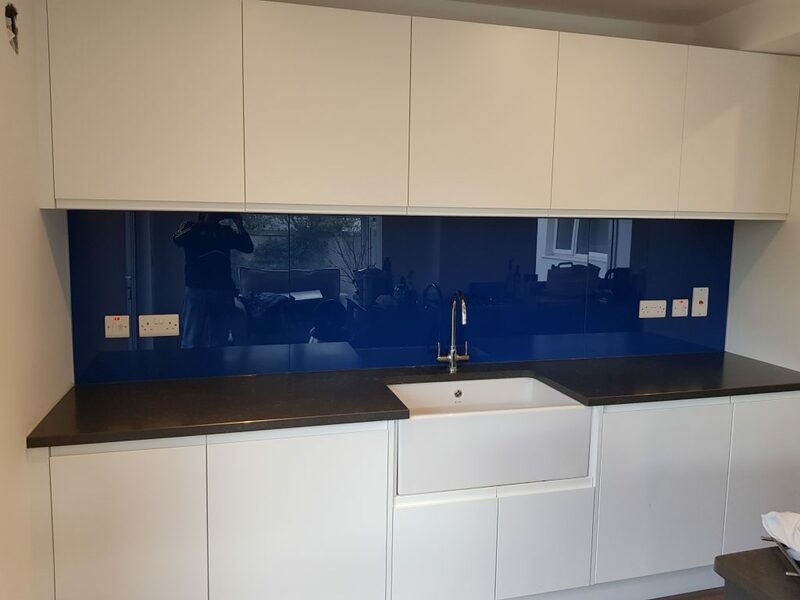 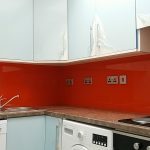 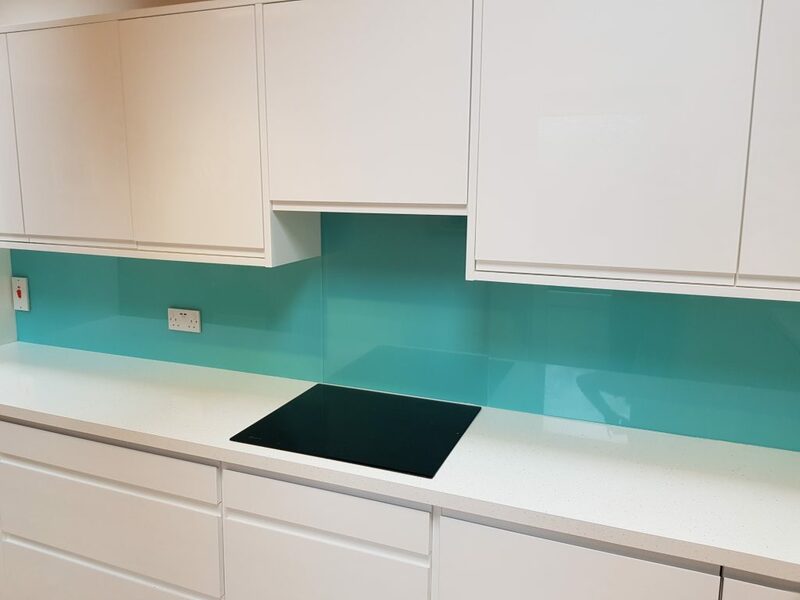 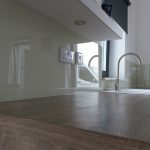 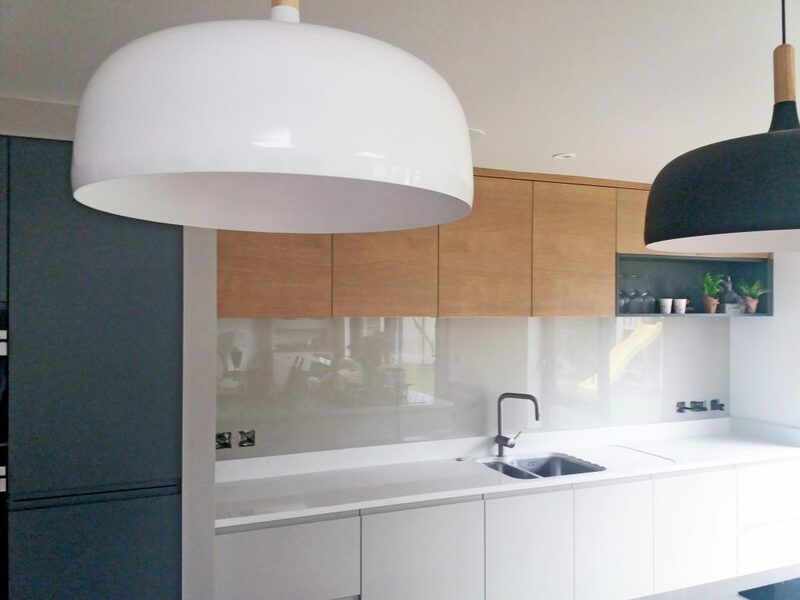 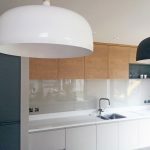 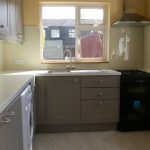 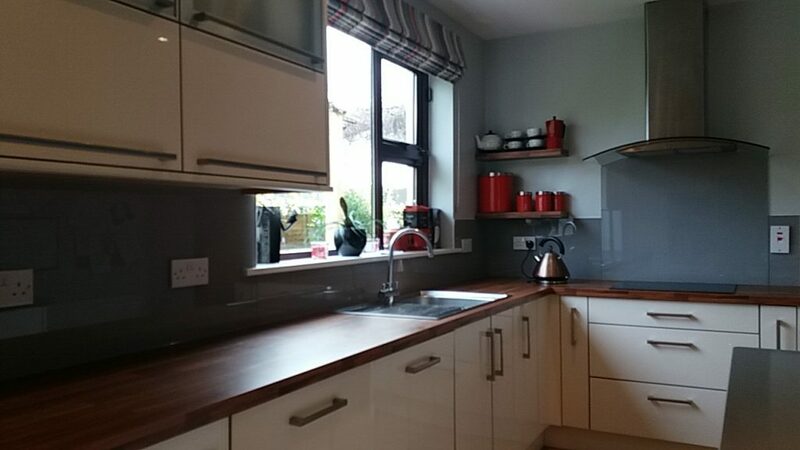 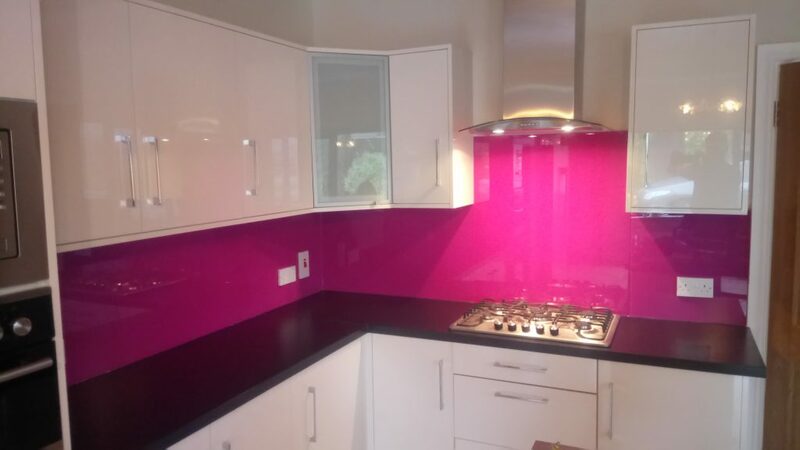 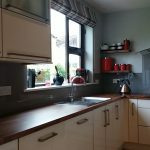 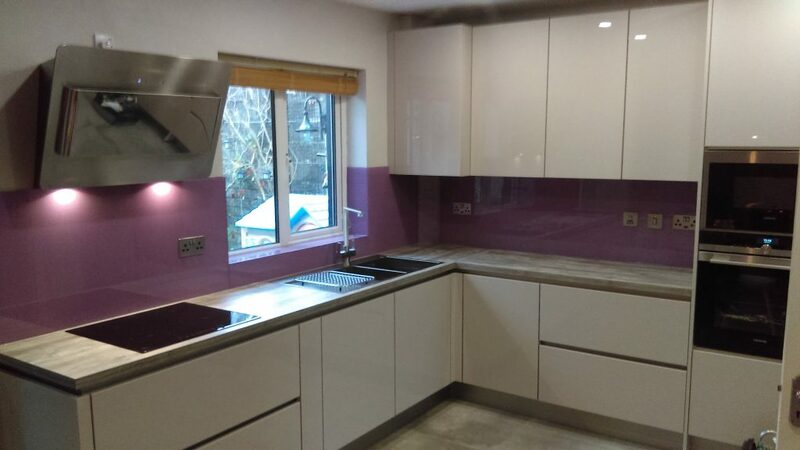 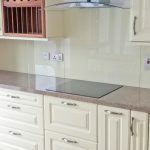 Painted Glass Splashbacks can enhance any home or business premises, and at Waters Glass and Glazing we offer a comprehensive range of design options. 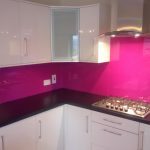 With over 20 years experience in Decorative Glass design we can take your idea and turn it into a bespoke feature. 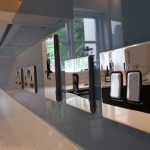 Plug cut outs and notches around cupboards can be taken out of the glass panels to accommodate fitting around your plug sockets and your cupboards and they are so easy to keep clean. 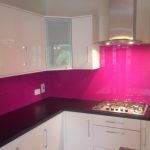 All our painted glass is Low Iron, and from RAL codes which allows the true beauty of the colour you have chosen to shine through, whilst giving you the option of adding panes at a later date with a perfect match. 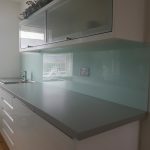 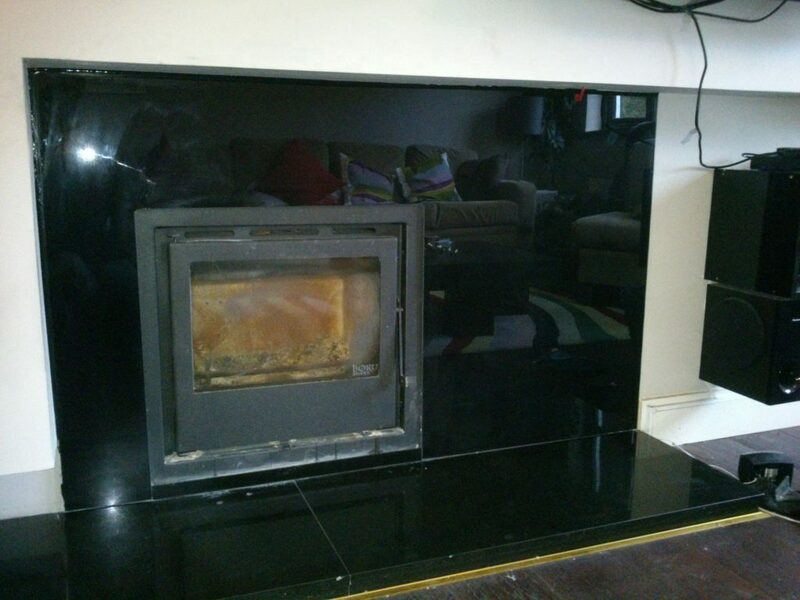 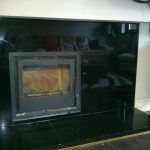 We will take all the measurements for your glass and give you a quotation with no additional charge to you. 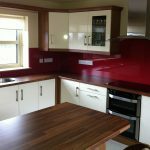 Give us a call or send us an email to arrange an appointment. 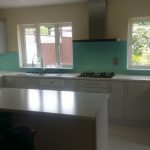 In the mean time check out our gallery below to see some of our most recent work.